A business card should not only bear your personal details in a piece of paper but also, it should exude your personality and radiate a good impression. So, it is of great importance to ensure that your business card is one effective and unique business card. Because of this, there appeared a lot of techniques and methods to make your business card an effective and unique one. Remember, a business card can make or break your career and loss or gain a client. Thus, it is important that you make sure your business card is a good one. This article discusses seven tips that you can follow in order to make an effective and unique business card. To simplify is the key in making an effective business card. You need not to overload your card with all of the information about yourself and unnecessary details and juicy information about your life which are not essential to the knowledge of other people. Information overload will kill you in your business cards. The main purpose of business cards is to introduce yourself to other people; but once your card is overloaded with a bunch of unnecessary information, most of the time you will left no impression at all. Thus, it is necessary that you just touch the tip of the iceberg and left your recipient wanting and intrigue for more information about yourself. 2. Make it appear intellectual and impressive. Your business card is an extension of your identity. So, if you want to emanate a smart, witty yet formal attitude, then your business card should also do the same. Prevent those uncanny and bizarre fonts that need to be deciphered first before understanding. Also, make sure that your font size is not too large and not too small; rather, legible and readable. If you want your business card edgy, then you can spice up the logo of your company. Have your logo interesting and make sure that it is catchy and unforgettable. As the first tip suggests, you have to keep your business card simple. And comes with simplicity is being minimalistic—meaning avoid covering your business cards with a full array of colours. This is to leave a space for your recipient in case he/she might want to take down some notes on your business card. More so, avoid using glossy papers as your business card or a scented board with glitters on it because these will be inconvenient to your recipient aside from your business card will not appear to be business-like at all. 4. Hand it down to professionals. 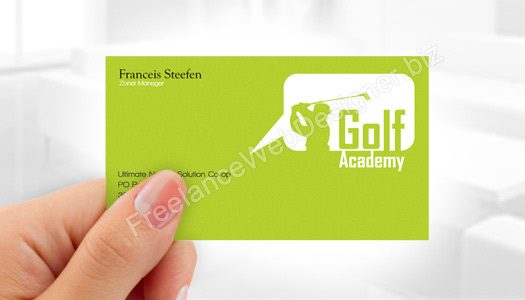 Hand down your business card to professionals to enhance the appearance of your business card. Professionally tailored business cards project a more formal and better impression compared if you will just do it on your own. It will not only save you time and effort but it will also salvage you more clients and connections. For individuals who own more than one business, it is important that you separate your businesses, say back to back. This is to avoid confusion on the part of your recipient. If say, your businesses are associated with each other, then you can at least combine these on one business card. However, if your businesses are evidently diverse then you can opt to single out your business cards to cater to your specific business. Sometimes, you tend to over-refine your business cards in the attempt to make it unique and perfect. There is no wrong in polishing your business cards, rounding the corners or punching a hole through it and styling it with your preference etc. However, you have to make sure that you do the refinement marginally and with the aim to enhance the appearance of your business card and not just merely because you wanted it. Optimize your business card and make it a stage to offer your recipient something out of generosity in accepting your little introduction. Maybe you can offer the recipient a discount on your company after his purchase or you can tip him with a link on your website where you announce sale and clearing schedules. These and more, depends on your creativity, can aid in your business card to make an impression and leave your name unforgettable to your recipient. A professional freelance graphic designer/ business card designer able to make a Unique and Good Business Card for your business, contact a freelance business card designer now. Really great tips; as always! Too often have I come across a business card that looked like it was the end result of too many people’s feelings and opinions being represented on one tiny piece of paper. And I couldn’t agree more with Tip 2; where it says that you should avoid ‘bizarre fonts’; I find that incredibly tacky. If you want to be seen as a professional, you can’t decorate your card with a bunch of unnecessary, juvenile looking extras. A business card does not have to be beautiful; just visually aesthetic in the sense that it is clear and concise; and hopefully helpful to the person it is given to. in my designs for clients. It’s a way to separate oneself out from all of the clutter caused by simple *cut & paste* jockey’s with a fancy font that looks like it was just thrown into the mix . I prefer and find the clients I attract with custom freehand script by way of a12″ X 18″ Wacom tablet are the most satisfied. A custom logo signature appears to works best in order to stand out form the cloud of clutter crowd.